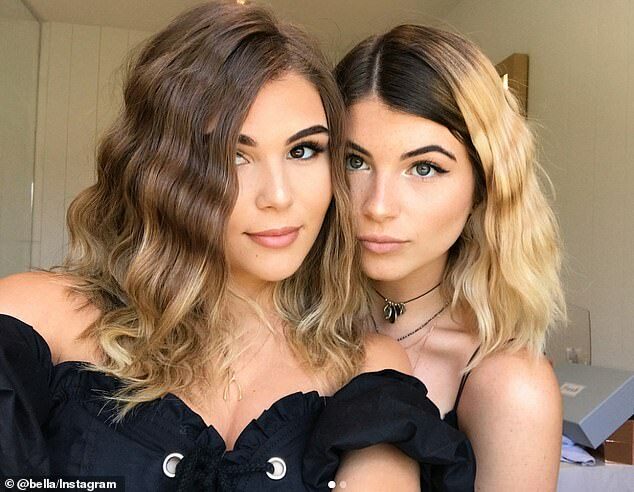 Lori Loughlin's daughters could be banned from the college their mother allegedly bribed to get them into for being 'disruptive individuals', according to reports. 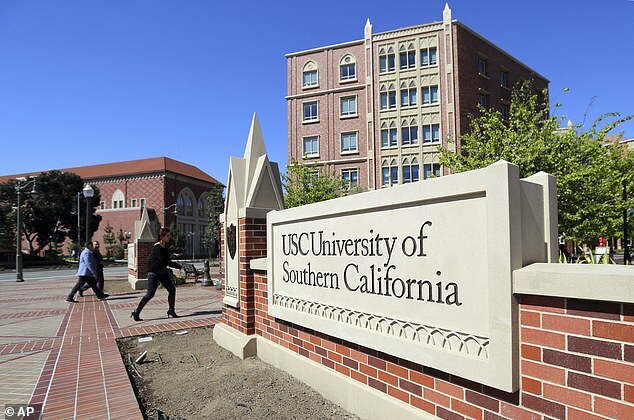 It's not clear whether they're being branded disruptive for prior actions at the college, or due to the frenzy on campus - and in the media - following the bribery scandal. The atmosphere at the university is reportedly 'hysterical', with suspicion rife that many more students cheated or bribed their way into the prestigious college. Of the 60 complaints, the Council is seriously investigating three. Two of these are said to be freshman students, who were recommended to the school's athletic department by Rick Singer - the alleged mastermind of the scam. Olivia is said to be furious with Loughlin and her father Mossimo Giannulli, believing they have 'ruined everything'. 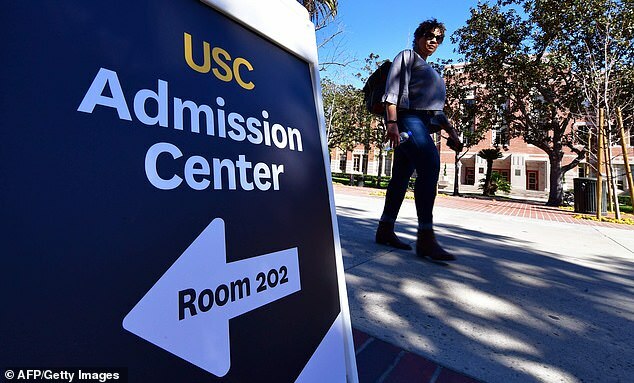 The parents are accused of paying over $500,000 to guarantee their daughters' admission to USC. 'Bella and Olivia are suffering in their own ways from the fallout of their parents' decisions,' a source told Entertainment Tonight this week. Loughlin and Giannulli's court cases were both postponed to April 3 after their attorney asked the judge to delay the hearing due to the legal team's scheduling conflicts. The pair were initially scheduled to appear on March 29. Court documents released last week also alleged that Olivia hadn't even written her own college applications. On November 2017, Singer emailed Loughlin and Giannulli with an email bearing the subject line 'CONGRATULATIONS'. Attached was Olivia's conditional acceptance letter to USC. 'This is wonderful news,' Loughlin responded, adding a high-five emoji. Loughlin and Giannulli are reportedly in full support of the girls' decision to withdraw. They have no immediate plans to try and enroll in another school.